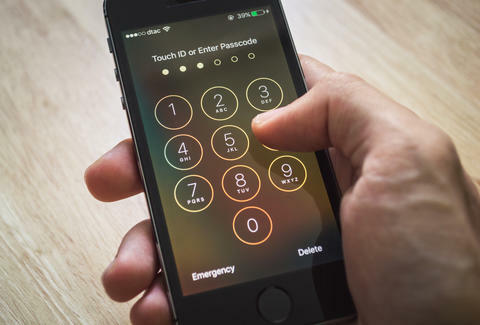 Passcode or no passcode, your iPhone can now be unlocked by anyone, enabling your roommate to easily grab all your most embarrassing photos, or giving a hacker access to your contacts. You can gauge which will do more damage to your peace of mind, but either way this is really scary stuff. As BGR reports, a detrimental bug will let you enter an iPhone without a passcode by cleverly utilizing Siri, which you can of course call on while any iPhone is still locked. The first step to bypassing that lock screen is to ask Siri to "Search Twitter," and then asking her to search Twitter for the words "Gmail" or "Yahoo." The goal here is to get Siri to bring up a list of tweets that contain email addresses. Once you find a valid email address, you need to 3D touch the address which will bring up a menu. With this menu, you can access both photos and contacts without ever needing a password or thumbprint. As the video notes, the bug works on iOS 9.0 and up, including the most recent iOS update. No doubt Apple will soon respond with a fix, but until then, you can safeguard yourself by disabling Siri on the lock screen. With Siri out of the way, you can ensure those incriminating photos from Halloween stay secret and safe. Also, it's about time to stop being incriminated in Halloween photos. Kara King is a News Writer at Thrillist and will now delete all embarrassing photos. Send news tips to news@thrillist.com and follow her at @karatillie.